"Watch all of your favorite shows from your desktop with Hulu Desktop for Windows." Do you like to watch all of your favorite shows on Hulu? If you do, perhaps it's worth giving Hulu Desktop a try. With Hulu Desktop, you can watch all of your favorite shows right from your desktop without having to open any of your web browsers. Hulu Desktop for Windows is a fully optimized and easy to use to find your favorite shows and bookmark them for later watching. From action, comedy, to science fiction, you get access to all of your Hulu favorites right from your desktop with great ease. All you need to do is install, log in, and you're good to go. 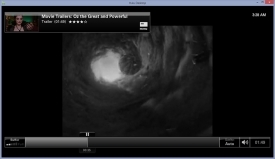 Just like on the web site or on the applications for your media devices, you get a selection of genres, your favorites, recently watched, and what is currently popular. There are no restrictions with Hulu Desktop for Windows, only ease of use and quick access to your favorites. 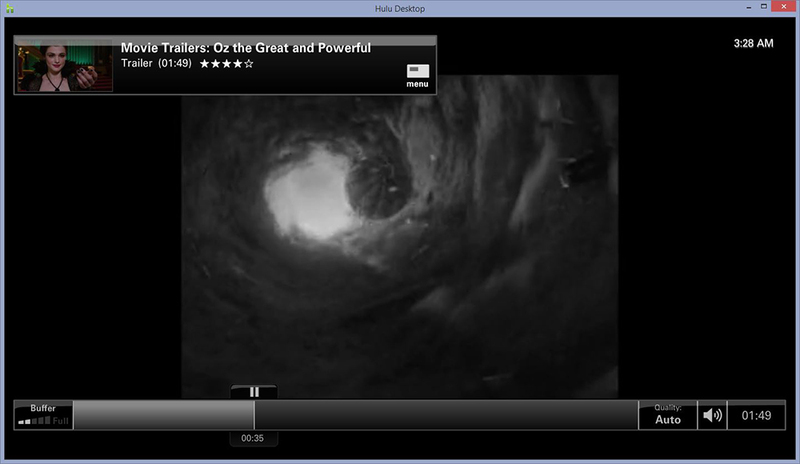 You are also able to access Hulu's library of movies with Hulu Desktop for Windows. As with all Hulu applications and on it's web site, Hulu keeps it's subscription price low by showing you short ads within your favorite show. Though, Hulu is famous for allowing you to show the ads you are most interested in, so the advertisement experience for the user is not painful for annoying. This makes Hulu's low price very appealing and affordable, while still allowing you to access a very large library of content for your daily entertainment. It is worth mentioning that Hulu recently stopped updating Hulu Desktop for Windows, as the community behind Hulu Desktop for Windows and the amount of users using it has dropped significantly in recent years, but it is still going strong and is still able to function and does it's job without any issues as of the time of this article. However, without future updates to the application there may be some bugs and glitches that may never be fixed. Though, there are not any bugs or glitches prevent you of comfortable use of the application.